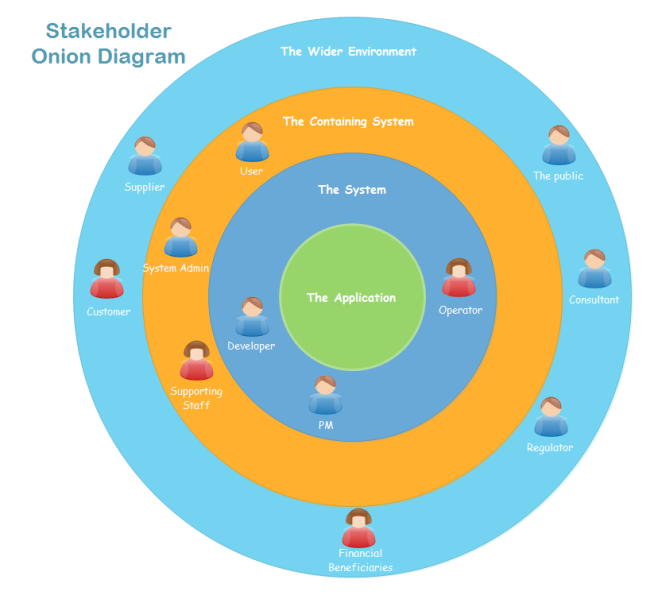 Description: To make a stakeholder onion diagram, there is only a few things to do. Drag a template, add clip art, and type in content. If you need a custom style, simple change the color of each circle. This template is available to download if you need it.